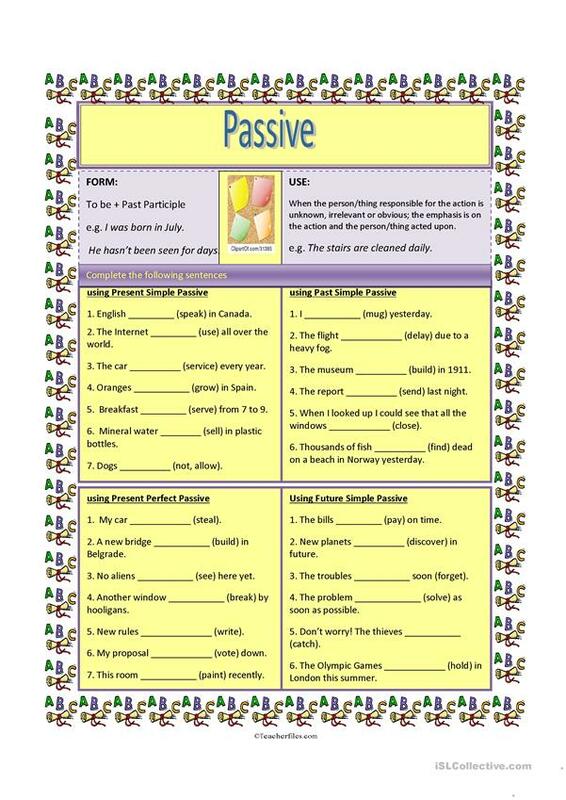 Here is a simple grammar drill on passive. Four exercises for students to practise its form. The present downloadable printable is intended for high school students and adults at Pre-intermediate (A2) level. It is valuable for revising Passive voice or active voice in English, and was designed for strengthening your students' Writing skills.